The Board of Directors of the American Institute of Architects (AIA) awarded the 2015 AIA Gold Medal to Moshe Safdie, FAIA, for his comprehensive and humane approach to designing public and cultural spaces across the world which have touched millions of people and influenced generations of younger architects. The AIA Gold Medal, voted on annually, is considered to be the profession’s highest honor that an individual can receive. The Gold Medal honors an individual whose significant body of work has had a lasting influence on the theory and practice of architecture. 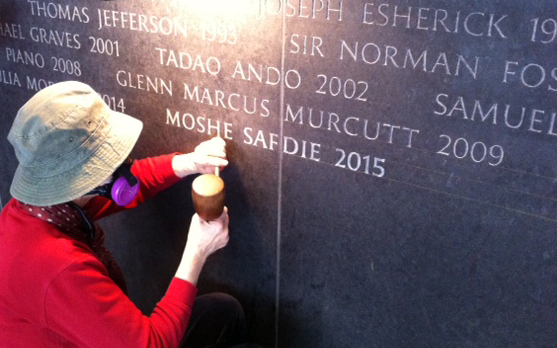 Safdie was honored at the 2015 AIA National Convention in Atlanta. Below is a video of Moshe Safdie's acceptance speech.